NAME dropping isn't typically appreciated. 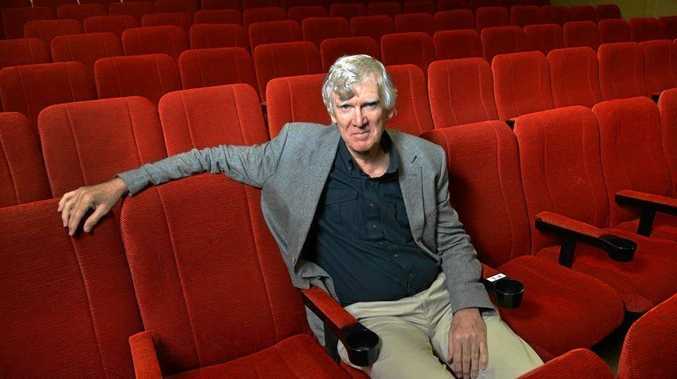 In the case of ousting Kuga in favour of Escape, most Australians won't care less. 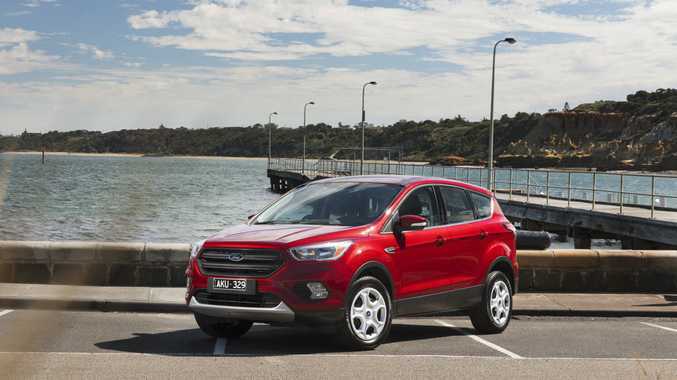 Ford has adopted the global name (even if Europe keeps its claws in the Kuga) for its compact sports utility vehicle, which is in showrooms with a starting price $760 cheaper than the old model. The manual model starts at $28,490 and the auto is $29,900, which just undercuts the Hyundai Tuscon, Kia Sportage, Toyota RAV4 and Mitsubishi Outlander, but isn't as sharp as the base Mazda MX-5 Maxx ($27,890) or Honda CR-V ($27,490). Escape comes to us with some extra tech-savvy equipment aimed at professional millennials who are searching for family-friendliness and constant smartphone connectivity along with slick gadgets. Among the changes is a safety suite that incorporates autonomous emergency braking to help avoid frontal accidents, radar cruise control, lane departure warning and drowsy driver alert - but they are only available as a $1300 option pack, even on the range-topping derivative. 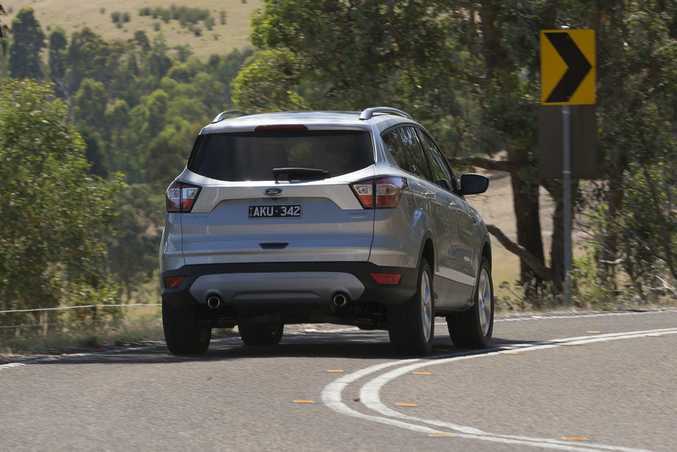 The Escape maintains Kuga's five-star ANCAP safety rating, despite not having the latest kit, which means it's not evaluated under the stricter current guidelines that saw the Mustang slapped with two stars for also going without the latest technology. 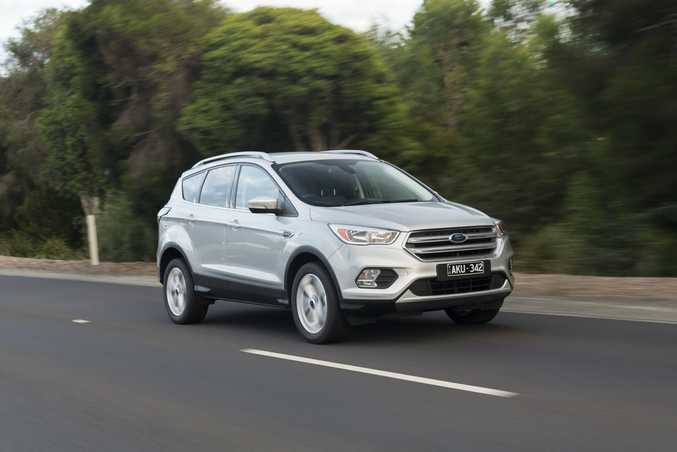 That aside, the Escape has improved across the expanded line-up, courtesy of price decreases, front-wheel drive versions, improved spec and upgraded interiors. 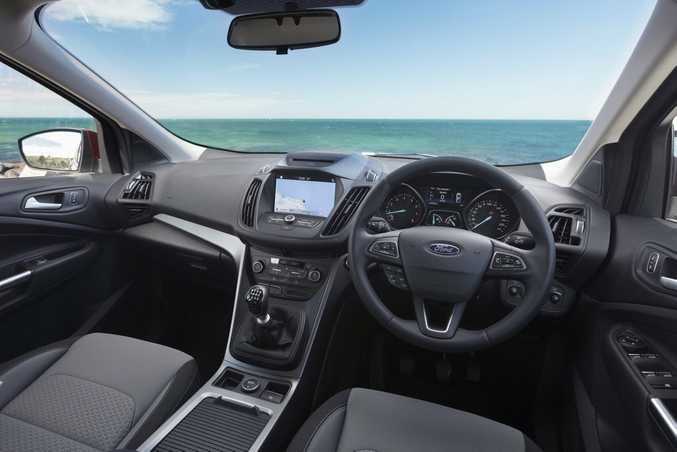 From the base 1.5-litre variant, the Escape offers sprightly performance with a lovely confidence generated through accurate steering. Automatics will be the weapon of choice for the majority of buyers, and those models come with steering-wheel-mounted paddles for manual-style control - a dramatic improvement over the gear shift button of old. While it won't hold the gears through to redline, sport mode does enable it to push revs into the upper echelons - but to be fair, you rarely need to take control with these intuitive and smooth shifts. Our Escapes take the European suspension set-up and come from the Spanish plant. Across bitumen and gravel, the Escape showed its dexterity. Feeling planted and flat in the bends, it can handle some speed when the going gets twisty, but when it comes to off-road antics, dirt tracks and compacted sand are the safe limit. Family buyers - particularly mums - will appreciate the take-off speed, with a nice feeling of power at the ready. That improves steadily as you climb the drivetrain range and engine choice will come down to fuel efficiency and towing prowess. The diesel is the thriftiest in fuel consumption and offers a hefty 400Nm at the ready, which would make easy work of a box trailer, although the petrol engines are no slouches and drink between 0.5-3.1-litres more per 100km, depending on the model. 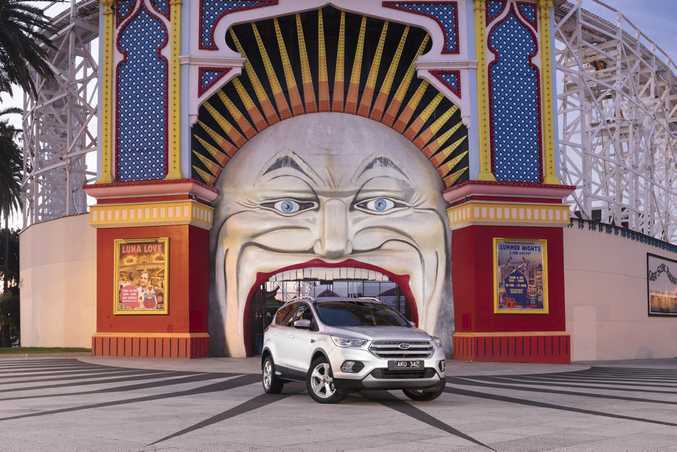 Adhering to the beat of Ford's global grille design drum, it's a familiar face with a large upper trapezoidal two-bar grille and a smaller lower grille. Ford was keen to push the "sporty" credentials, although it's not remarkably different from the Kuga - the other pivotal difference is the wider bonnet with a central dome and restyled tail-lights. Eight colours are offered, along with new additions tri-coat white and copper. Premium paint options are $450. What do you get? Safety includes dynamic stability control, rollover mitigation, reverse camera and rear sensors across the range. 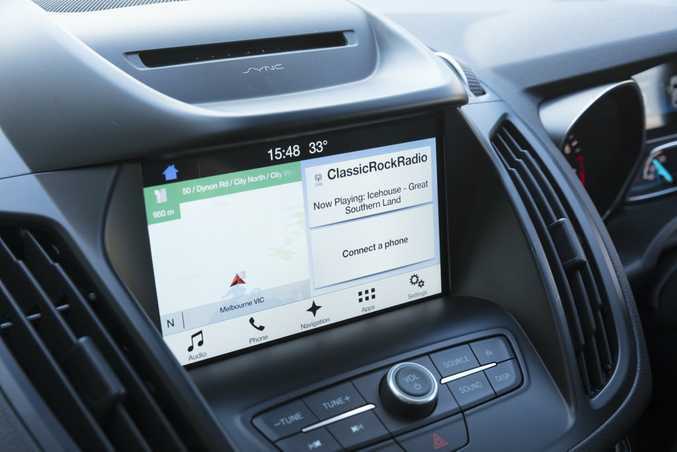 Standard gear includes an eight-inch touchscreen with Apple CarPlay and Android Auto connectivity with six-speaker stereo and digital radio, sat nav, dual-zone climate control, cruise control and push-button start. Trend models gain 18-inch alloys, automatic wipers and headlights, along with a leather-wrapped gear lever. Top-shelf Titanium gets larger 19-inch alloys, smart keyless entry that automatically opens the doors when in the vicinity, power-folding side mirrors, leather trim, headlights that follow steering direction, panoramic glass roof, nine-speaker stereo, power tailgate, electric adjustable driver seat, front parking sensors and automated parking function. Reasonable space suits a young family, with adults offered enough real estate in the back as long as those in the front don't shift too far rearward. 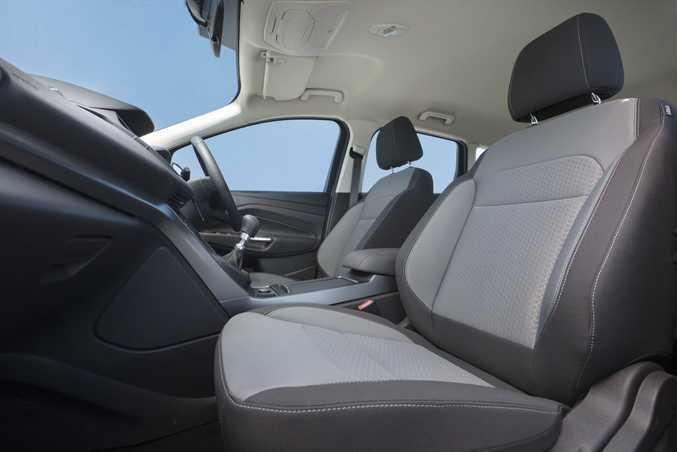 The front passenger has an airy outlook with an expansive windscreen and low dash, but the instruments make things more bulky for the driver - while the centrally located CD looks like an afterthought. Changes to the button design and the upgraded Sync system make operations straightforward. There are dual cupholders front and back, as well as useful slots in the console for phones and other gear. Titanium models come with aeroplane-style rear seatback trays and all models get rear air-con vents. Verdict A new name and perhaps a fresh start for what has been an underrated SUV. 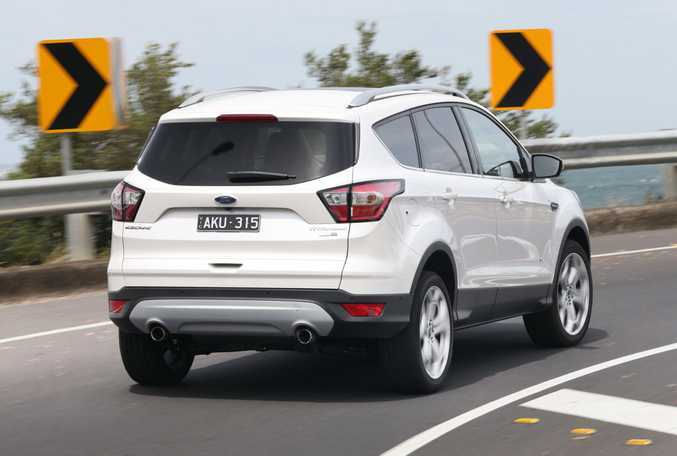 The Escape is a rewarding drive with all three engines and for those who have no intention of stepping off the bitumen, the best-value proposition comes from the front-wheel Trend with a 1.5-litre engine. Optional top-notch safety equipment is an oversight. It should at least be standard on the Titanium model, but hopefully Ford will shift during the SUV's lifecycle. PRICE: Ambiente - 1.5L FWD (m) $28,490, 1.5L FWD (a) $29,990, 1.5L AWD (a) $32,990. Trend - 1.5L FWD (a) $32,990, 2.0L AWD (a) $35,990, 2.0L diesel AWD (a) $38,490. Titanium - 2.0L AWD (a) $44,990, 2.0L diesel AWD (a) $47,490. CAPPED-PRICE SERVICING: Basic service starts from $260 to $310 for petrol models, $385 for diesel. SERVICE INTERVALS: 15,000km or annual. SAFETY: Seven airbags, five star. ENGINES: 1.5-litre four-cylinder generating 110kW@6000rpm/240Nm@ 1600-5000rpm (manual) or 134kW@ 6000rpm/240Nm@1600-5000rpm (auto); 2.0-litre four-cylinder petrol 178kW@ 5500rpm and 345Nm@2000-4500rpm; 2.0-litre four-cylinder diesel 132kW@ 3500rpm and 400Nm@2000-2500rpm. THIRST: 1.5-litre - 6.3-litres/100km (combined average, manual), 7.2L/100km (2WD auto), 7.5L/100km (AWD auto); 2.0-litre petrol - 8.6L/100km; 2.0-litre diesel - 5.5L/100km. DIMENSIONS: 4524mm (L), 1838 (W), 1689 or 1749 (H), 2690 (WB). 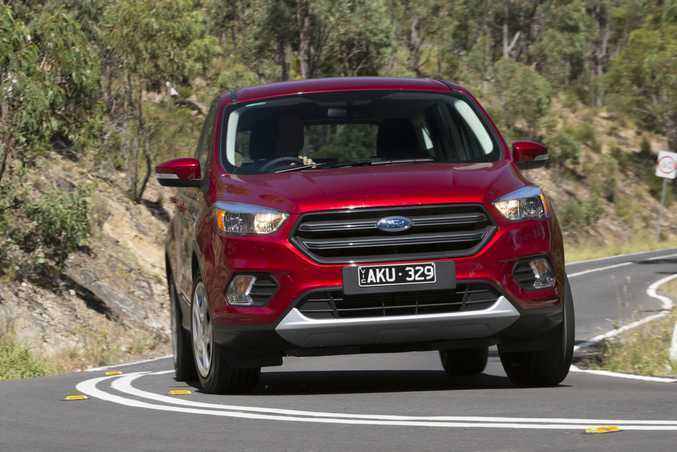 TOWING: 1500kg (1.5-litre FWD); 1600kg (1.5- and 2.0-litre AWD); 1800kg (diesel). Good spec such as touchscreen with full Android and Apple smartphone integration, impressive drivetrain line-up all with zesty performance, and steering wheel paddles on auto models. Alloys on the base model, boot levers to drop the rear seats back, flat loading area with the rear seats folded in Ambiente and Trend models.